The Senate has passed legislation with a provision that would require the Department of Health and Human Services to provide an explanation for a 21-month delay in issuing mandatory federal hair testing guidelines for safety-sensitive transportation employees such as truck drivers. The bill, introduced in May by Committee on Commerce, Science and Transportation Chairman Sen. John Thune (R-S.D. ), also would require HHS to report progress on hair testing within 30 days of passage and lay out a schedule, including benchmarks, for completion of hair testing guidelines. The bill passed the Senate on Sept. 17 by a 99-1 margin. The Senate Commerce Committee is calling on the House to work with the Senate to produce a final bill. A vote in the House is yet to be scheduled. “Today this bill is one step closer to the president’s desk, and we are one step closer to providing much-needed assistance to those who need it the most. I hope my colleagues in the House will consider this important piece of legislation without delay,” Thune said in a statement. The hair testing provision is part of the bill intended to provide opioid disorder prevention, recovery and treatment. The legislation also calls on HHS to issue federal oral fluid testing guidelines by Dec. 31, study the possibility of adding a federal drug testing panel for the opiate drug fentanyl and expand drug testing requirements for certain rail employees. Some motor carriers have been hair testing for years, but also have been required to do urine testing of drivers. Not only do hair samples have a longer detection window — up to 90 days — but the samples are collected in an observed test, preventing drivers from cheating. 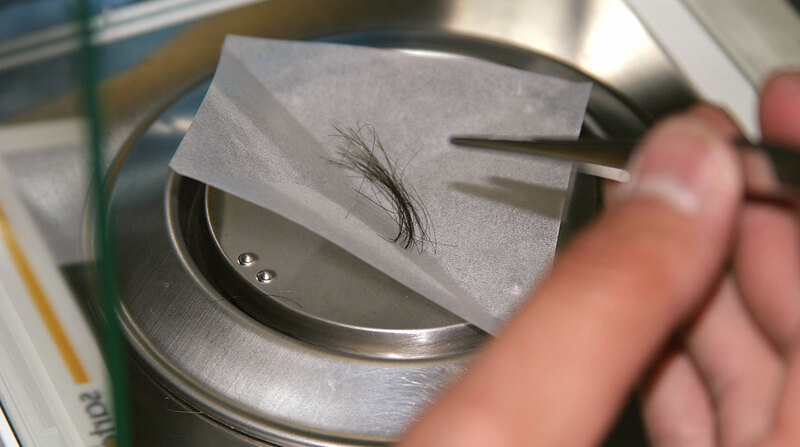 Federal approval of the hair alternative would decrease the costs for carriers that currently conduct both urine and hair sample tests, as they would be required to conduct just one of the tests. ATA President Chris Spear has said that a lack of action to comply with the congressional mandate is having real impacts on the industry, which is frustrated that the previous administration failed to meet the statutory Dec. 6, 2016, deadline.